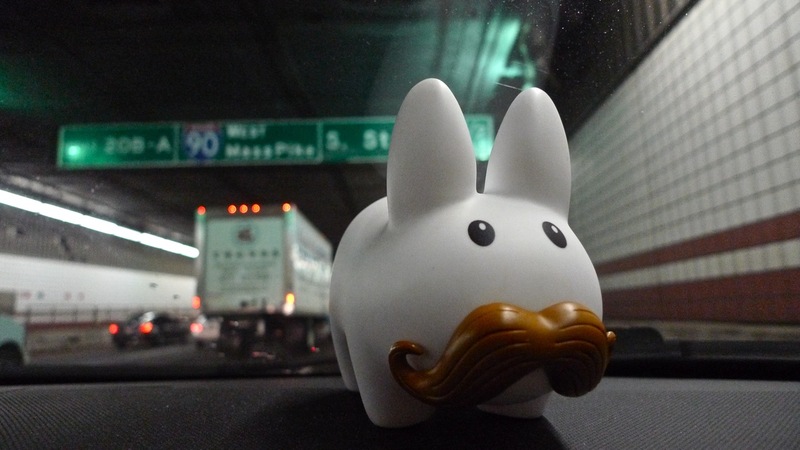 As a labbit, Pipkin feels very safe and cozy underground, but having seen U.N.K.L.E. 's music video for the song "Rabbit In Your Headlights", he's chosen a safer method of transportation - inside a vehicle. "Rabbit In Your Headlights" features vocals by Thom Yorke of Radiohead and is a great track off U.N.K.L.E's 1998 album Psyence Fiction. (Yes, long before Pipkin was born!) While the video may be hard for some to watch, the ending is a good one, so have a listen, even if you have to shut your eyes.